Growing genuine organic produce in the desert is a difficult task. Patience and long-term solutions are required to get results. However, this is the only sustainable approach, particularly in the kind of extreme growing conditions we have in the UAE. The limited amount of well water available in the desert needs to be carefully managed. At my enterprise, Greenheart Organic Farms, our organic growing methods, including soil building, crop rotation and the cultivation of heirloom seeds help to minimize the water consumption. At the outset, this approach results in low yields and relatively high costs. In order to remain competitive, profit margins have to be kept at a minimum and can be as low as 5%. Yet in contrast with conventional farming practices, the organic approach produces better results over time. Soil and seed quality improve from year to year and with them yields and profit margins. “Fresh produce,” as it is sold in many supermarkets, is often not very fresh at all, and has often travelled for weeks and even months before it reaches the UAE. To stop oxidization, it is sprayed with preservatives that have a water-binding effect. To make shipping costs feasible, “fresh produce” is bought in large quantities at very low prices. Due to conventional growing methods, duration of shipping and the use of preservatives this produce is devoid of any nutrients and is highly toxic. Greenheart produce, on the other hand, is harvested freshly every morning, and the time between harvest and consumption is a matter of hours. This just-in-time approach requires careful planning, and hence, the growth of the business can only commence in stages, and is directly linked to the overall output of the farm. However, in the long term, this results in the constant production of high quality, chemical free, nutritionally rich fresh produce that is superior to imports. As such, our produce is high in demand for private households as well as local businesses. Moreover, the produce is only at our premises for a few hours and therefore there are no storage costs. This can be offset against longer growing periods and losses occurring from storms, pests and disease. Image credit: Greenheart Organic Farms. In order to make organic produce more affordable for families, Greenheart has adopted a no-frills sales approach. Despite the fact that we are just minutes away from Arabian Ranches and Motor City, our slightly off-the-beaten track location directly translates into lower rental costs. Our large and beautiful retail outlet is a multifunctional space in which we can stagger our operation. Deliveries from the farms start early in the morning, and at first, all commercial orders are packed and delivered. As soon as the bulk of the produce has left, we set up the shop, so it is ready for our individual customers, who start arriving at about 11am. Part of the team is dedicated to serving customers in the shop, whilst the rest of the team prepare on-line orders that the drivers will collect as soon as they are finished delivering the wholesale orders. Adopting this staggered method allows us to shift large volumes in a short timeframe in one and the same space by the same team at a relatively low cost. Through demonstrating integrity in all aspects of the business, we create brand trust and build a loyal following. Growing high quality genuine organic, freshly harvested produce is only one aspect of the operation. 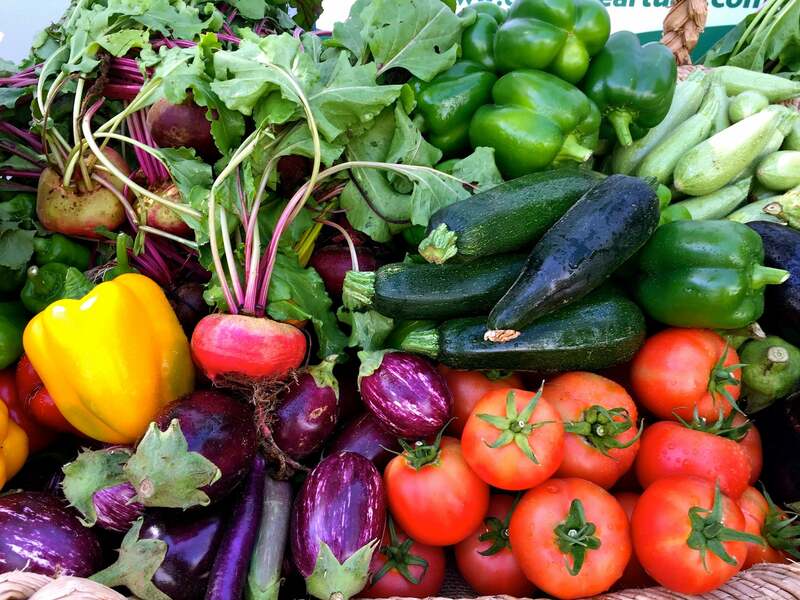 We also import regional, seasonally organic produce directly from small family owned partner farms. All our other organic products such as pantry items, snacks, and super foods are carefully handpicked, and we only select brands that we have faith in and consume ourselves. Lastly, as much as possible we use reusable, recyclable packaging, with an AED5 refundable deposit on all Greenheart boxes and glass jars. All of this results in most of our retail business being generated through word-of-mouth, leading to low advertising and marketing costs, and slow but sustainable growth. We pride ourselves in being fully transparent. Over the last 4.5 years, we’ve dedicated much time to research and development and have continuously improved our growing techniques. 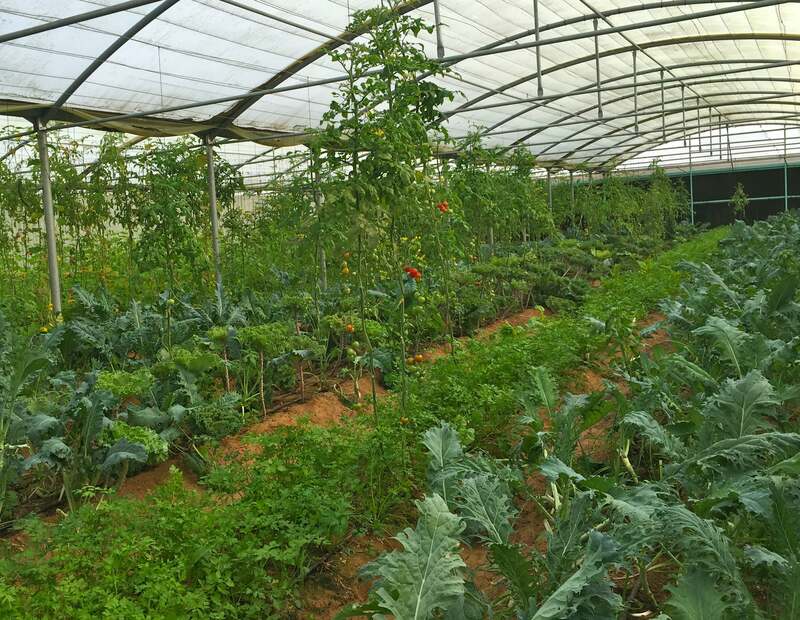 In a young market such as the UAE where certification is still in its infancy, it’s particularly important to demonstrate how genuine organic produce is grown in such hostile conditions. We frequently share our progress and explain our challenges through social media and via our newsletter. Every year we organize farm visits for our customers, bloggers, and journalists. This deepens the understanding of our work and helps to raise awareness, as we aim to convert a growing section of the expatriate and local Emirati communities to an organic way of living. Instead of investing into expensive, purely sales-driven marketing campaigns, we’ve chosen a gentler, more holistic approach as our long-term strategy.